In 2007-08, the Philomath High School Ecology students, under the direction of teacher, Jeff Mitchell, adopted the riparian restoration of a reach of Newton Creek on the historic site of Clemens Mill. After a student, working with Oregon Dept of Fish & Wildlife fish biologist, Karen Hans, documented the presence of cutthroat trout below a remnant dam from the days of the mill, US Fish & Wildlife worked with the students to pull the dam and reshape the stream banks to prepare for planting. 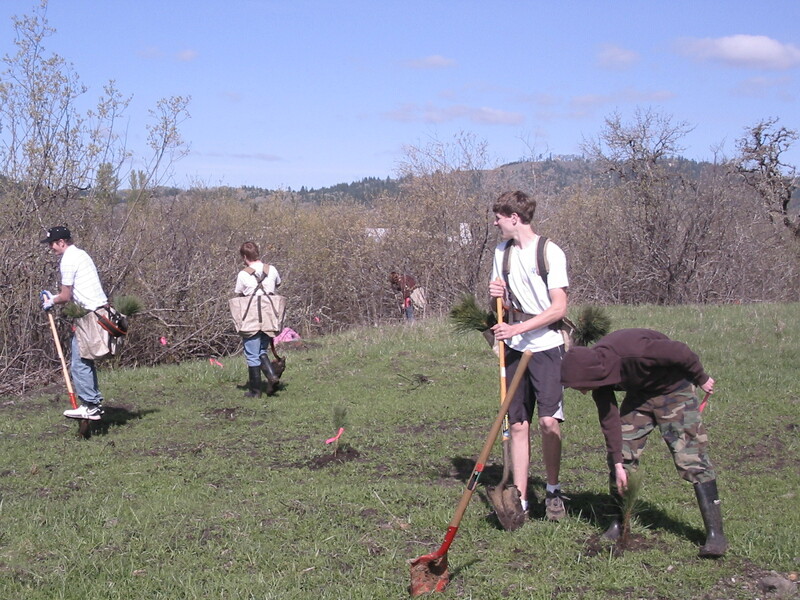 The students planted over 1500 trees, protected them from browse and watered them during the summer months. This project was supported by Oregon Watershed Enhancement Board, Benton Soil & Water Conservation District, Oregon Dept of Fish & Wildlife. US Fish & Wildlife Service and Andrew Martin.